Cozy up in this one bedroom oceanfront cottage suite! Your cottage has a separate master bedroom with a Queen sized bed, complete with electric fireplace. 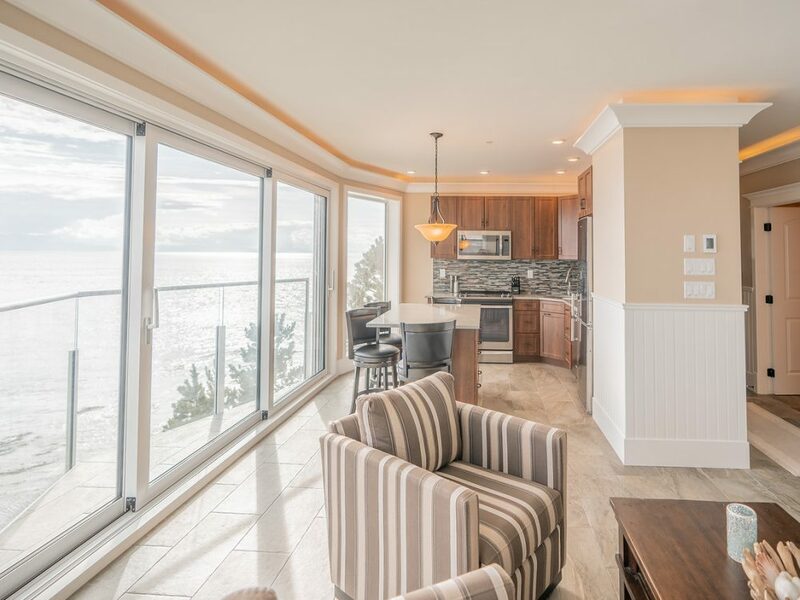 In the living space you’ll find a Queen sofa bed, two club chairs – perfect for whale watching – electric fireplace and gourmet kitchen – all right next to a fully retractable glass wall leading to your unparalleled ocean views. 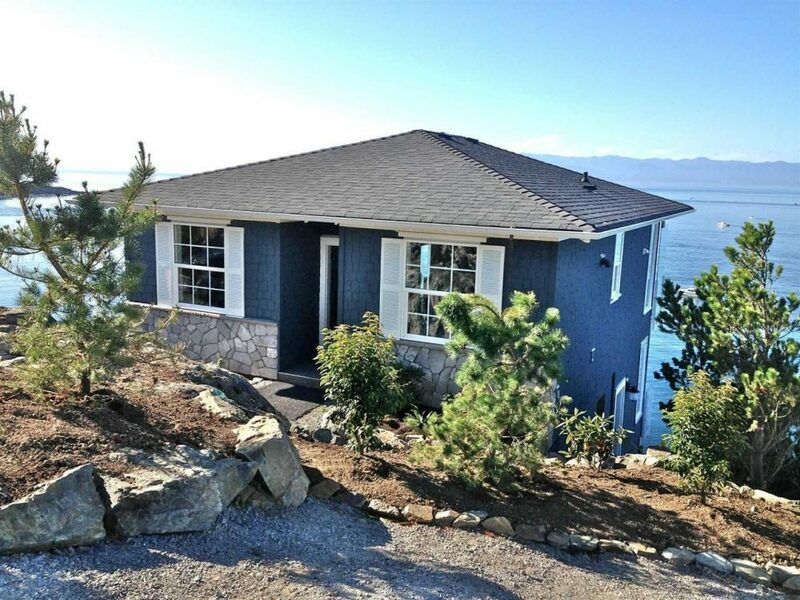 SookePoint Ocean Resort continues to grow! Please know that there is active construction taking place at the resort Monday to Friday. Note: Stairs are required to access these suites. 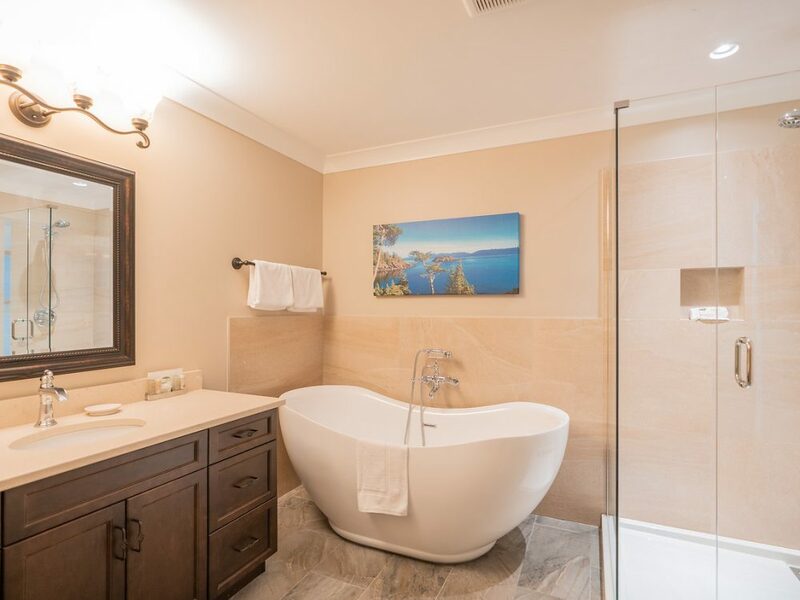 Most suites have a small balcony or deck overlooking the ocean but not all suites offer a large balcony like the one in the video on our homepage. Outdoor seating is not provided. Daily housekeeping available for an additional cost.